Hugh Jackman finally revealed the official title of the latest Wolverine movie as “Logan” along with a teaser poster showing his bruised claw held by a much smaller hand. 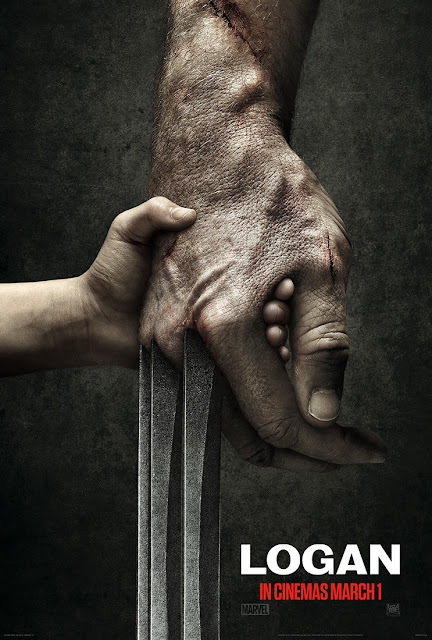 Director Mangold further revealed that Logan being older and in a drunken state, engages in action with his claws extended but is soon pounded with knives, guns and fists. “Logan” is Hugh Jackman’s last donning of the Wolverine character and from his recent interview with Collider, Hugh Jackman admitted that he feels the pressure has gone the highest notch ever. "I feel that I'm pushing harder than I've ever pushed before. I suppose the stakes just go up when you announce before your last season that this is your last season, you don't want one game to not be your best. People ask me, 'How are you gonna be able to let it go?' To me the only way you can let it go is if you left blood every day on the studio floor." “Logan” will open in Philippine cinemas on March 1, 2017 from 20th Century Fox to be distributed by Warner Bros.